This entry was posted in Austria Austria Immigration and tagged Austria austria visa application Visa visa application on March 31, 2015 by Blog Author. Austria is a beautiful and enthralling country which has a lot to offer to people from other countries. This nation has a lot of potential for prospective immigrants who wish to settle down in the country. 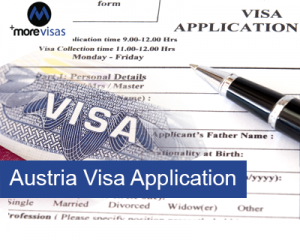 Austria visa application depends on how long you want to stay and what you want to do in Austria, you are supposed to apply for different kinds of work permits. Just like visas, all applications for residency permits must be handy before entering into Austria. This you can get it done in Austrian consulate or embassy in your native country. Exception to this rule is US nationals and highly qualified persons. However, if you are already in Austria, for instance using a tourist visa of class C, you will not be given any other kind of permit. This visa must be held by you if you plan to enroll yourself in an Austria Educational Institution. The problem here lies not in securing a permit but in getting admission for studies. Requirements for the same differ depending upon the study program you want to enroll for. Overall, you need to provide evidence that you can enroll yourself in an institution akin to the Austrian school or university in your home country. Every year, you will be required to furnish the results of the exam so that your permit can be extended for another year. Apart from this permit, you would be required to get a work permit for you to engage in a job. There is provision for your spouse and children to get permits as well in connection with your education stay permit. This visa is automatically conferred to your family dependents if you have a residence permit. However, there is a cap on the annual immigration quota. Initially, the validity of this permit in connection with your permit would be four years, after which they can have their independent permits. If you are a highly skilled individual with either a university degree, or your work is of special importance to the area or employer or it creates more new jobs or you bring investment capital into Austria, then you can easily get this permit. If you are earning more than €4,200 per month, you can live in Austria without a permit requirement along with your family. Only a letter from your employer is required. Get more details with the assistance of our MoreVisas executive @ Enquiry Form.